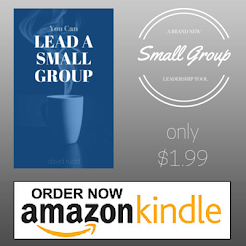 Today, I'm looking at chapter two from the book "Why Small Groups". This chapter is an essay written by John Loftness entitled, "Fellowship Rediscovered." "fellowship", as it is found in the English Bible, is a translation of the Greek word koinonia...Here the Revised Standard Version of the Scriptures can help. It translates koinonia as "fellowship" but also as "participation" and "sharing". What is fellowship as defined in the New Testament? Just this: participating together in the life and truth made possible by the Holy Spirit through our union with Christ. Fellowship is sharing something in common on the deepest possible level of human relationship -- our experience of God himself. Loftness also points to 1 John 1 to remind us that fellowship with each other is impossible if we don't first enjoy fellowship with God. If we are walking in the light, then we will be able to share our lives with others who are also walking in the light. Self-suffiency -- We need each other, for different people have different gifts. To say that we can become who God wants us to be without benefit of fellowship is as inaccurate as saying that a body can be fully functional without eyes or hands or ears. Formality -- The needs and issues of our lives change, and so should the content and topics of our meetings, for the Spirit is constantly at work in our lives to conform us to Christ's image in specific ways. Bitterness -- Bitterness is a sinful reaction to something gone awry in a relationship. Unfulfilled expectations, offended pride, jealousy, gossip, and slander can, if left unchecked, lead to bitterness. Elitism -- A condescending attitude toward those whom we deem less mature than ourselves quenches fellowship -- or turns it into a narrow one-way street. Ask. Get past the "How are you doing?" and begin asking "How is God working in your life right now?" Volunteer. Choose to volunteer information about your own internal state, not simply to relieve the problem of loneliness but to gain their honest evaluation, support, and suggestions. Take advantage of ready-made opportunities. As moments present themselves, don't be afraid to set aside your pre-planned agenda. The Holy Spirit knows better than you what your group needs. Be creative. Find opportunities outside your normal meeting time to be together, to share the journey and to participate in one another's lives. According to Loftness, "A good small group is like the best of families. Good families take responsibility for each other. Good families are honest with each other. Good families take care of each other. Good families deal with their problems. Good families love each other -- no one is lonely. Good families love and respect the head of the household -- in our case the one we call Father and Lord."